Approximately 226,000 property tax bills are being mailed on May 5. The tax bill will include brochures with information regarding methods of payment and penalties for late payment, the City’s investment in infrastructure for 2016, and the provincial school tax credit for seniors. 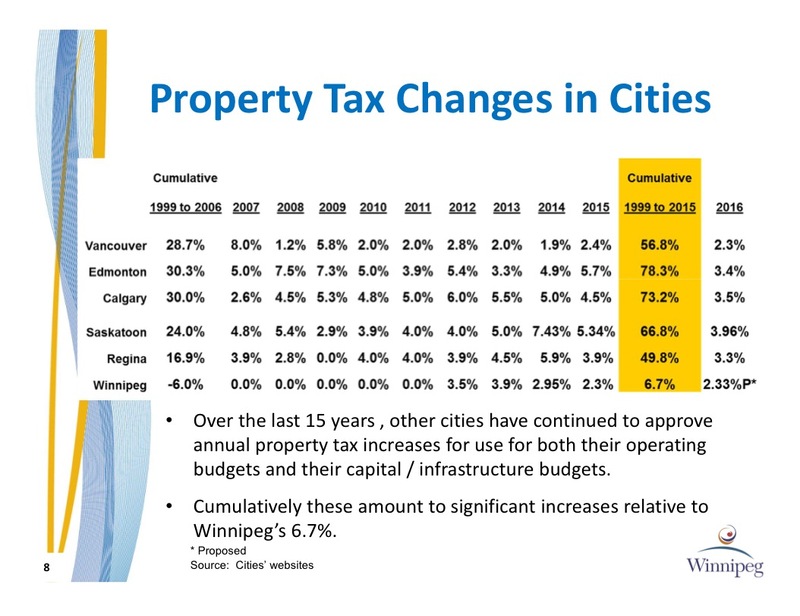 Municipal taxes make-up only a portion (45%) of the total property taxes collected by the City. 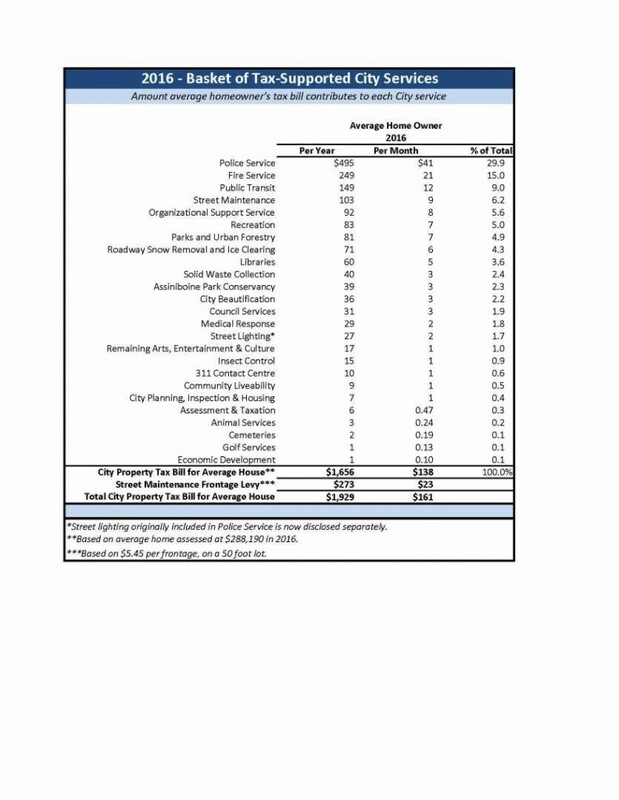 Education related taxes, over which the City has no control, represent 55% of the total property taxes collected. Across Manitoba, local councils in each city/town are responsible to pay for 60% of infrastructure costs. YET, local councils receive just 8 cents of each PST Dollar (Provincial Sales Tax) to get the job done. This has a direct impact on municipal taxes – see the update I provided on revenues during the 2016 Budget process. 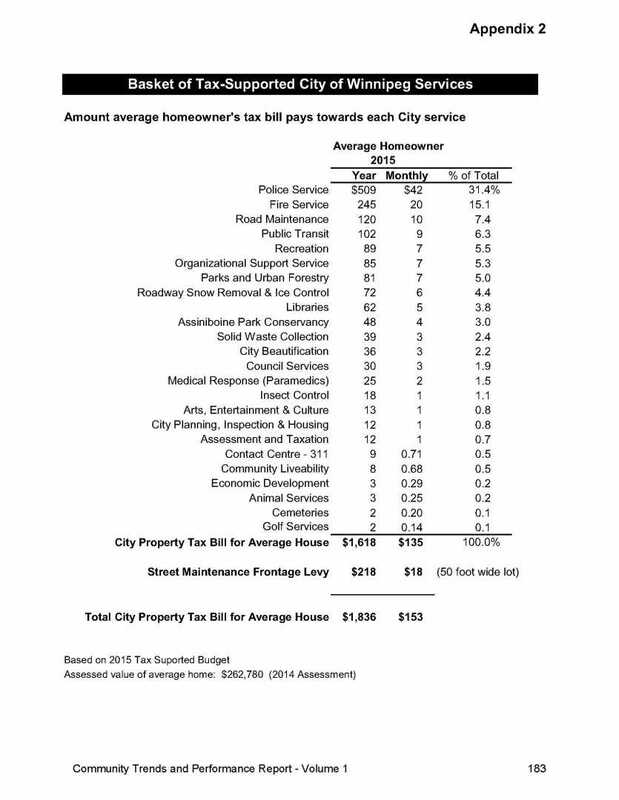 To understand how a homeowner’s tax bill contributes to City services, see the 2016 Basket of Tax Supported City Services shown at the end of this summary. 2016 General Assessment: The 2016 General Assessment updated the assessed value of all properties in the City and resulted in values increasing on average by approximately 9.7% over 2015 levels. Individual properties may see an impact greater than or less than 2.33% on their 2016 property tax bill if their assessed value change was above or below the City-wide average of 9.7%. For the purposes of the Street Renewal Frontage Levy and to assist property owners in determining what their frontage measurements are, the City’s website includes the frontage measurements of properties (http://winnipegassessment.com/AsmtTax/English/Propertydetails/default.stm). Important Reminders: Any property owner who does not receive a tax statement should contact the department by calling 311 or toll free 1-877-311-4974. New property owners are reminded that they are responsible for payment of the 2016 taxes whether or not they receive a tax notice in their name. Using the drive-by service from June 28 to 30, between 8:30 a.m. to 4:30 p.m. The drive-by service is located at the corner of James Avenue and King Street. Please have your tax bill and a cheque/money order ready in an envelope to present to staff. Cash payments cannot be accepted using this method. 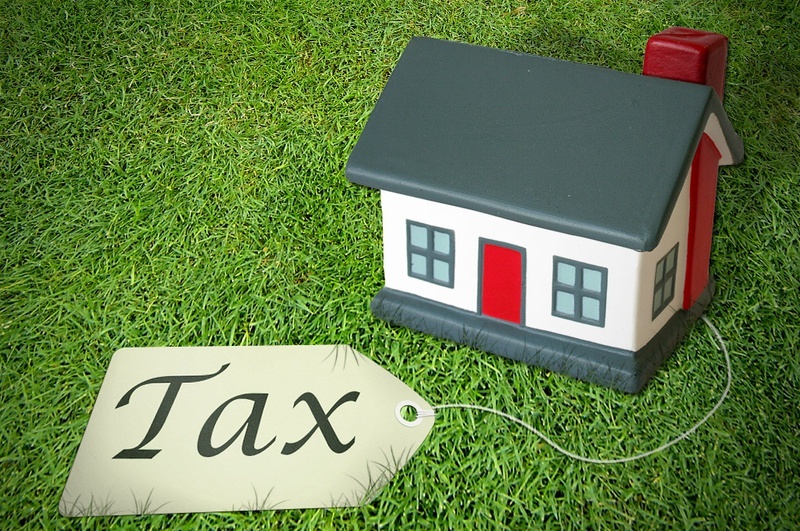 Appealing Your Property Assessment: You can appeal your property’s assessment, but not your taxes. The City has a Board of Revision, made up of Winnipeg citizens appointed by City Council, which hears appeals. It reviews assessments and makes impartial decisions based on the evidence which you, as the property owner and the assessor present. For the 2016 assessment, the deadline for filing an appeal was June 25, 2015. While that deadline has passed, there will be an opportunity to file an appeal for the 2017 assessments, which will be mailed on June 3, 2016. The 2017 Assessment Notices will only be mailed to properties that have had a change made to the property, including but not limited to, a change in ownership or a change in value. If a property owner does not receive an assessment notice, this means that they did not have a change to their property from 2016 to 2017; however, they still have the same right to appeal their assessment if they so choose. The Board of Revision – who handle Appeals for both Property and Business Assessments – have provided a Final Date of Appeal Application of Monday, June 27, 2016 for appealing 2017 Property Assessments. QUESTIONS? Visit City of Winnipeg – Assessment and Taxation or contact 311 (open 24 hours every day) by phone at 311 or by email at 311@winnipeg.ca.